They say human attention is the most precious commodity in the 21st Century, according to David Mattin, head of trends at trendwatching.com. I read this on the BA business magazine this week travelling from London; my full attention was on fascinating articles in one of the world’s remaining WiFi free zones, without interruption. But alas not for long; I spotted information in the magazine about in-flight WiFi packages coming soon! 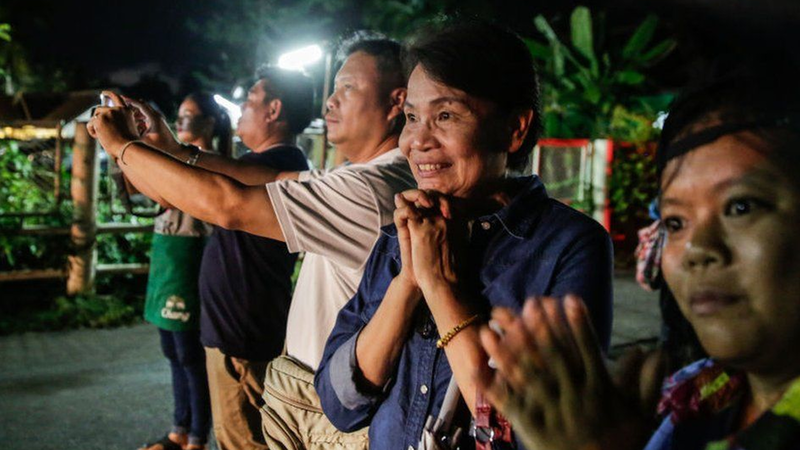 For me the cave rescue in Thailand trumped Trump, and beat Brexit to a pulp. The successful rescue of 12 boys and their football coach in Thailand captured the attention of the world. After getting lost in the Tham Luang cave network, the group was stranded for nine days until two British divers discovered them on a ledge. This led to a daring and some would say miraculous rescue, led by the Thai Navy Seals, unbelievably resulting in all of the boys and their coach being rescued. This episode pulled on every human emotion possible; the terror of being stranded, young children separated from their families, real fear of death, the apparent hopelessness of the situation, the tragedy of the diver who lost his life in the early stages. We witnessed the incredible international collaboration of selfless experts, who risked their lives in a quiet confident fashion without fanfare nor publicity or power. This was real, a true reflection of human effort at its best. The authenticity was compelling, our attention fixed because we want to believe in good, and in ourselves at our best. John Volanthen was the first voice the boys heard, a British diver who arrived back at London yesterday. He looked tired, pushing a huge trolley with his diving gear, stating that the rescuers weren’t heroes, they were just doing their jobs. Contrast this with all of the political antics getting 24-hour wall to wall coverage this week, mind-boggling bungling, narcissism and political games which have the power to make many people’s lives a misery. What we don’t see enough of is proper recognition of the millions of people whose efforts help to make our lives run smoothly, in customer service centres and in fact every service affecting all aspects of daily living. Rarely in the limelight and not highly paid, they can absorb the anxiety and anger when things go wrong in our highly complex lives as they inevitably do. In a world where we are utterly absorbed in our screens with choice beyond our wildest imagination, organisations need to fight really hard to be compelling in order to win some of this precious commodity. Being authentic and keeping it real is the best way to win in this space and remembering that our time is limited and cannot be taken for granted. Our attention should be viewed not as a commodity but as many precious moments.